To his fans, Eric Church has been known as many things: the Chief, the ultimate Outsider outlaw, and Mr. Misunderstood himself. Never a stranger to testing the boundaries of the Nashville sound, Church’s sixth studio album, produced by longtime collaborator Jay Joyce, proves to be his most sonically diverse. Here, the Chief doesn’t flinch in the face of trying times and lets fans come to know him as something new entirely: a Desperate Man. The 11-track album will undoubtedly be absorbed into the fabric of listeners’ lives, just as his previous releases have. Church opens the album with a menacing delivery of spoken word verses on “The Snake,” where he evokes biblical imagery and imagines sinister conversations between a rattlesnake and a copperhead. In interviews, Church has recognized the track as a metaphor for America’s polarized two-party political system. With biting scorn, Church delivers the chorus: “Rattlesnake, copperhead / Either one of them’ll kill you dead / We stay hungry, they get fed / And don’t pass the plate around.” He makes it clear that there will be no holding back from here on out. It may be 2018, but “Heart Like a Wheel” could easily disguise itself as a genuine old-school blues-rock song. The soulful ballad stands out for its emotive guitar riffs, stirring chimes, and gospel harmonies. Despite the song’s previously uncharted sound, the lyrics depicting an unlikely romance between a “caviar and mascara” woman and a “corduroy and leather” man will resonate as familiar territory for Church fans. On “Some of It,” Church digs deep into his vault of life lessons that one can only learn the hard way. As a result, listeners are given the most undeniably ‘country’ moments of the album. Church embraces sentimentality and evokes a warm fatherly voice as he sings, “Girls like to laugh / Tears don’t last / And scared’s what praying’s for.” On an album otherwise dedicated to pushing genre boundaries, “Some of It” reminds us there’s nothing wrong with a nonconformist slipping back into tradition for the sake of a heartwarming song. While the influence of classic rock can be felt throughout the album (and in any Church live performance), “Hippie Radio,” celebrates the songs and artists that were the soundtrack to Church’s pivotal life moments. Church taps into the quintessential connection between music and an individual’s coming of age. While “White Wedding” and “Rebel Yell,” may not have stamped everyone’s memories of pulling off a backroad with their first love, “Hippie Radio,” will make you smile and play the song that lets you time-travel back to summer nights at eighteen (after finishing Desperate Man, of course). On “Higher Wire,” Church displays a vocal range higher than ever before over a playfully wordy chorus: “Benedictine baby / Chartreuse snake old lady / Appalachia moonshine crazy.” The sparse, reverb-heavy guitar work and absence of drums helps establish the track’s smoldering, seductive groove. 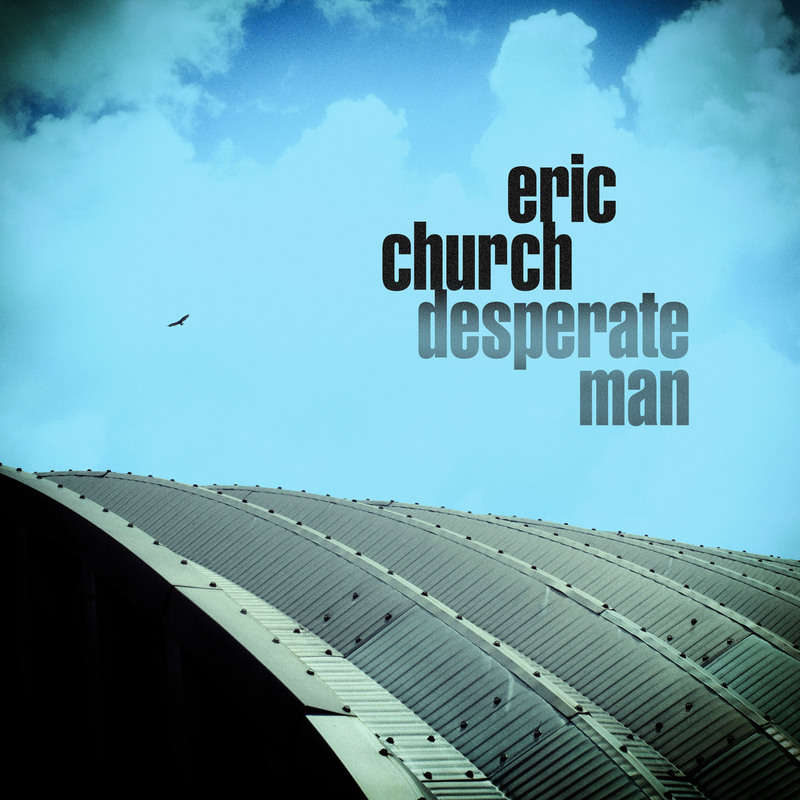 The deserving title track, “Desperate Man,” may be the album’s strongest moment. Co-written by Ray Wylie Hubbard, the track successfully blends Church’s tendency for free-wheeling rock-country with the new album’s deeper connection to old-school grooves. 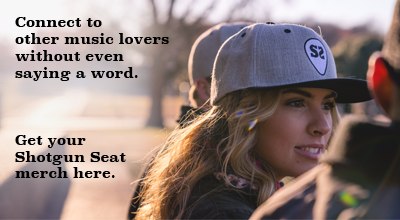 The driving rhythm leaves the song begging to be played for one of Church’s rowdy crowds. Church’s commitment to old-school cool continues during the Pink Floyd-inspired intro to “Solid.” While this may be a surprising turn, it reinstates Church’s lyrics, “Everybody wants me to think like they do / Put my faith in somethin’ new / But this old school is tried and true, it’s solid.” This declaration perfectly embodies the spirit of Desperate Man. But for all of the leaps and risks taken, Church still follows suit behind country veterans before him. On “Jukebox And a Bar,” he finds solace from heartache at the seat of a bar. While this scene has been played out many times before, Church reinvents it as his own by highlighting that for all of modern technology’s advancements, there is still no remedy for heartache. The album’s closing track, “Drowning Man,” draws upon the same concept for inequality heard on “The Snake.” Over crunching guitars, the lyrics strongly resonate with the aching working class as Church sings, “We put the smoke in the stack / Put the seed in the ground / While Lady Liberty turns her back / And Uncle Sam just turns around.” Church may be singing about drowning out the world with whiskey, but the track has a sobering effect on listeners as its angry momentum subsides into a quiet request to not hear about “the good life” for a change. Desperate Man marks a pivotal shift in Church’s greater catalog. While he’s always had an outlaw persona, these eclectic, emotionally-engaging songs have severed his ties from expectation and predictability for good.